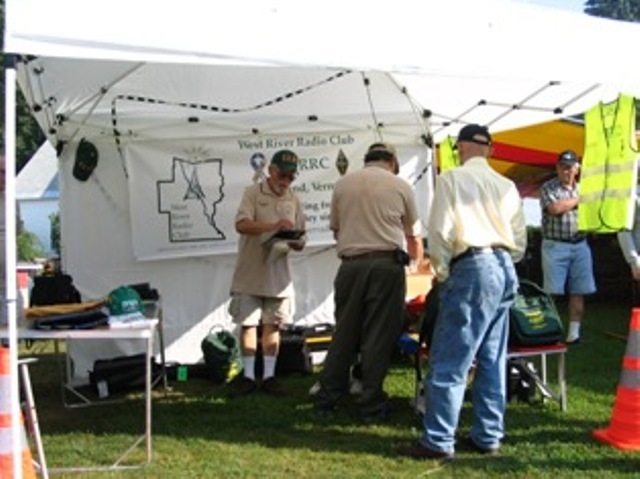 As part of our community services, Amateur Radio Operators are asked to help out with Special events. This is a scrapbook of our events we wish to share. Gaila (KB1OQG) shows that she is a proud member of WRRC. Sean (KD6MPY) during the setup checking the SWR on the antennas. 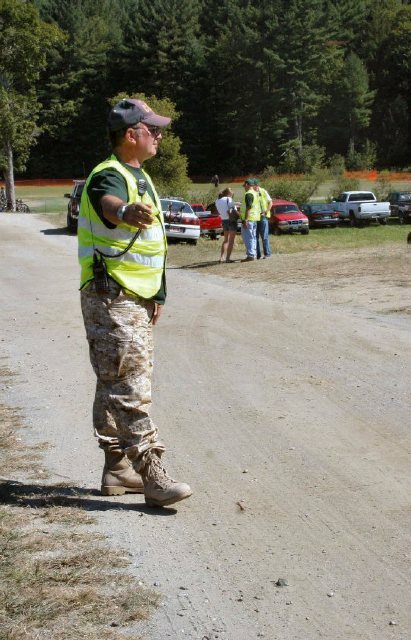 Here is Norm (N1SJK) giving us the count down to the start of Field Day 2007. With a pull of the string by Norm (N1SJK) and the bang of the cannon, Filed Day 2007 was off and running! 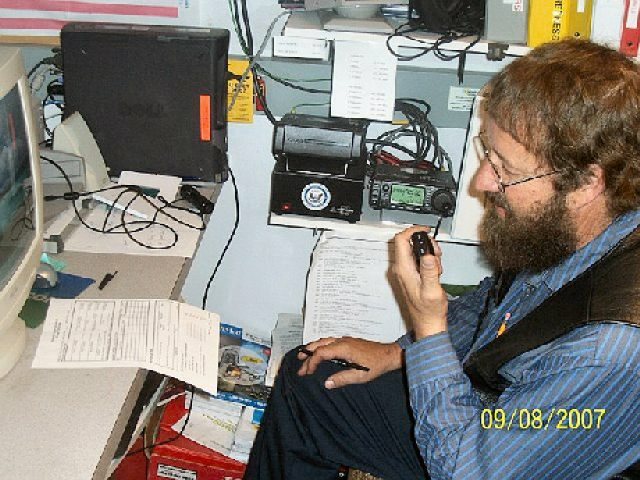 Paul (KB1OQH)at the helm of the HF Station making his contacts count. 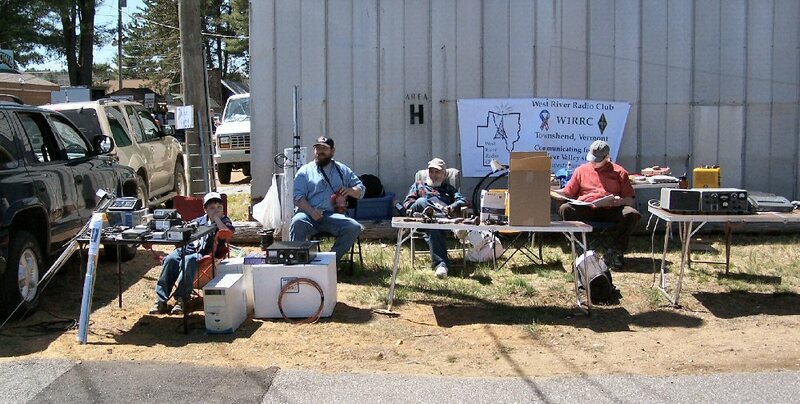 The "Night Hawks" Tim (KA1ZQX) and John (N1TOX) setup the Buddipole one last time for the overnight activities. 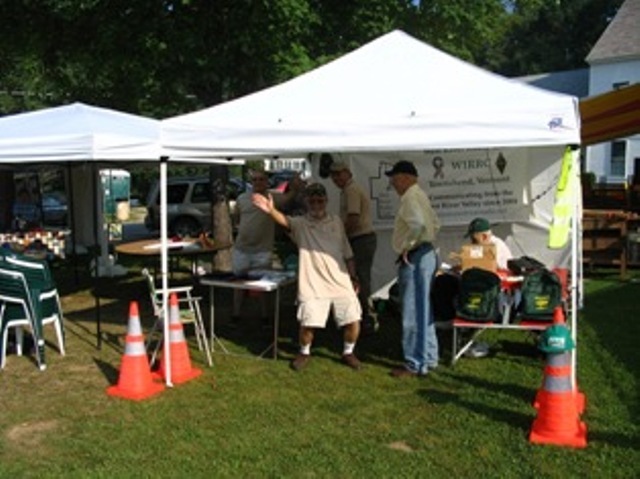 The Official Field Day 2007 Setup Crew! The other half of our member who attended. 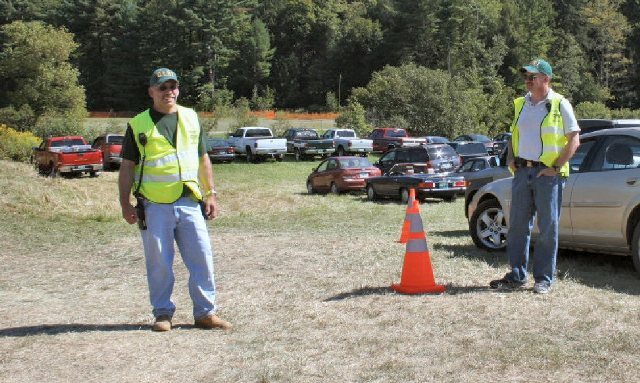 John (N1TOX) and Chas (W1CWB) wait for the next car to direct along. 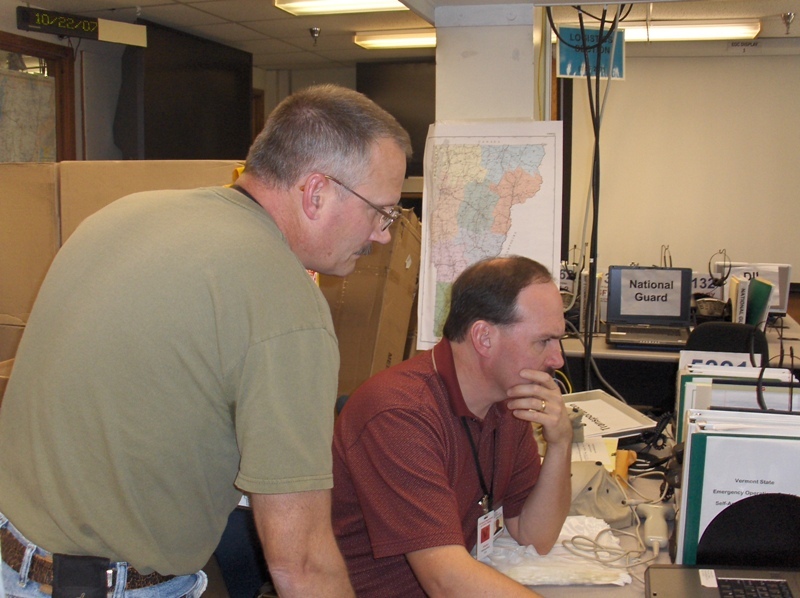 Mark (KB1HCG) and John (N1TOX) check the list, let's see, pamphlets (WRRC, RACES, ARES, CERT), radios operating, antennas are up, we are ready! 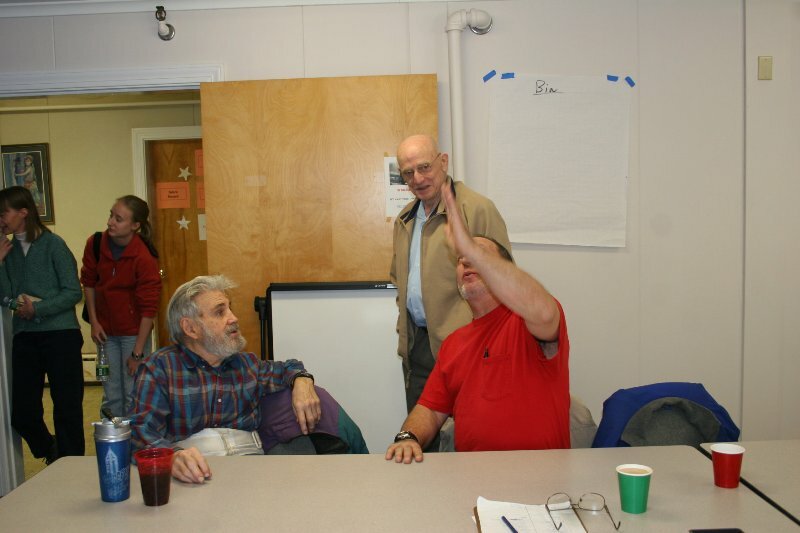 Darrel (K1KU) takes a few notes as Conrad (N1PBX) and John (N1TOX) work the radio. 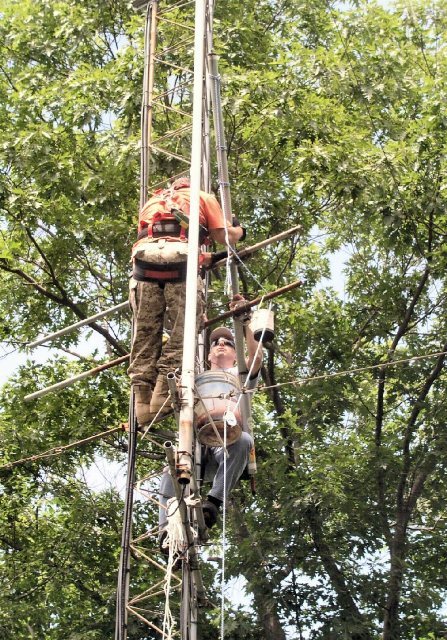 Nathan (KB1NWU) and David (N1ESK) make put in a ful day of installing antennas in Vernon. Note the 2/440 Vertical and Yagi! 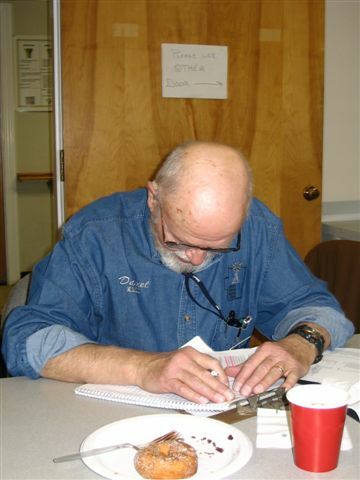 Darrel (K1KU) is in deep thoughts during our annual meeting and jotting down the minutes. Or might he be catching 40 winks? 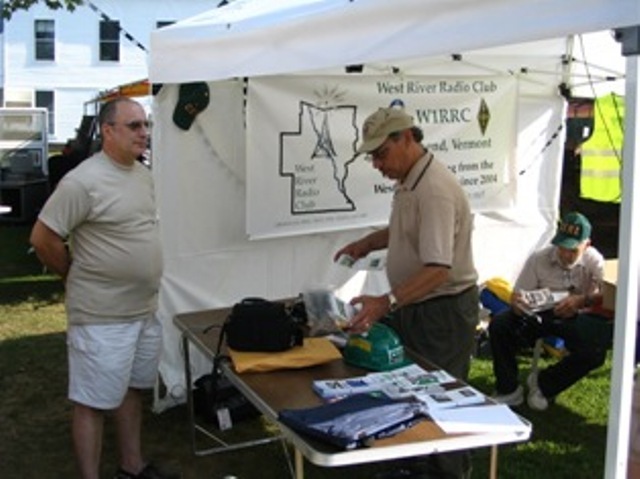 Mike (KB1OVK) is at the control of the Icom 706 Mk IIg during his first RACES drill at Brattleboro Memorial Hospital. Like father, like son. 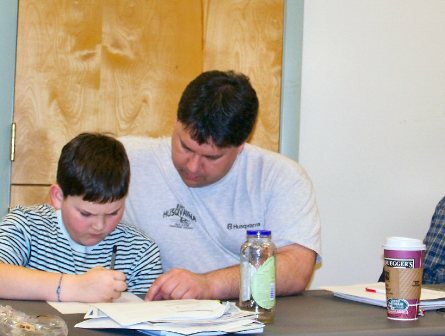 Paul (KB1OQH) watches over his son PJ as he gets reaady to take his VE Exam. 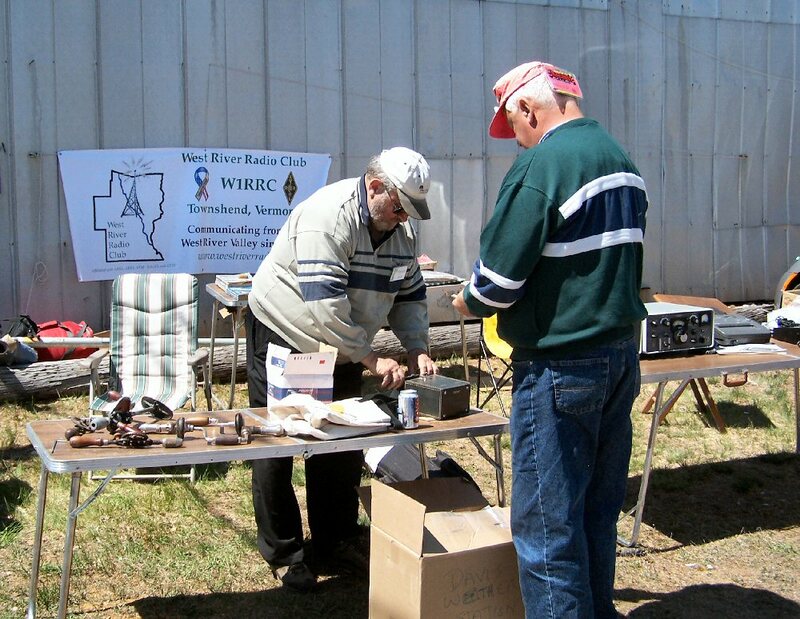 Tim (KA1ZQX) and Chas (W1CWB) add the serial numbers of the new radio equipment to a database at VEM. The WRRC / Grace Cottage Hospital RACES EOC station cabinet built by John (N1TOX) from scratch.